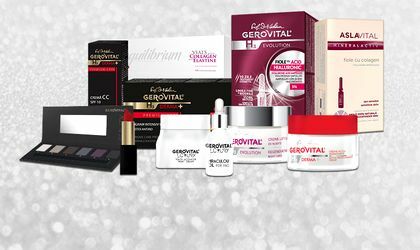 In 2018, Farmec started a new stage in the development of the Gerovital brand, having entered the decorative cosmetics segment by launching the Gerovital Beauty range. Over the course of the year, four other ranges were upgraded and expanded with new products: Doina, Farmec Expert and Ultraresistant Treatment, Aslavital Mineralactive and Gerovital Treatment Expert. “Every year we reconfirm our Romanian excellence in cosmetics and we exceed our established goals, succeeding to be closer to our consumers. The upward course in 2018 was due to several factors, such as: a new segment entry, constant portfolio upgrades, social engagement, new store openings and eCommerce processes optimization and our brand stores. These decisions resulted in very good results, consolidating Farmec’s leading position on the Romanian market,” said Mircea Turdean, general manager Farmec. In 2018, five brand stores were inaugurated, the Cluj company thus reaching a network of 26 Farmec and Gerovital stores, with national coverage. 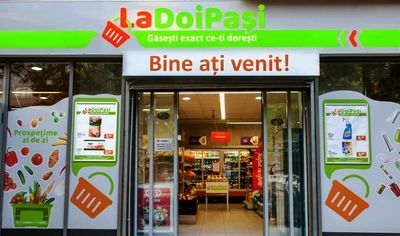 The first shop opened last year was in Oradea, followed by Constanta, Cluj-Napoca and two others in Bucharest: in Sun Plaza Shopping Center and the Old Center. In the 12 months, around 300,000 vouchers were issued in the country’s brand stores. At Farmec’s 2018 business momentum, sales in the brand store network grew by 40 percent, as well as online sales, which rose by 19 percent compared to 2017. In the top 3 sales of the brand stores are Gerovital H3 Evolution, Gerovital H3 Equilibrium and Gerovital Luxury. In terms of online trade, the 3 best selling brands were Aslavital Mineralactive, Gerovital Beauty and Gerovital Treatment Expert. In 2018, the Farmec online store recorded a 48 percent increase in mobile phone transactions and a monthly traffic of over 190,000 visitors, 30 percent more than in 2017. Also in 2018, customers of their physical and online stores had access to new services such as gift wrapping, free makeup sessions and gift cards. The Year of the Centenary was dedicated to the Corporate Social Responsibility Campaign “Unirea la feminin”, aiming to raise the level of solidarity, empathy and cohesion among the Romanian women’s community. Between 1 March and 1 December, part of the value of purchased Gerovital products was turned into personal care sets. More than 500 women from vulnerable groups have benefited from Gerovital care kits and have participated in artistic moments prepared in collaboration with the Beard Brothers NGO. Farmec S.A. Cluj-Napoca – the largest cosmetic manufacturer with 100 percent Romanian capital – remains an emblem brand for Romania. The company’s portfolio impresses a whole world with modern products designed in high performance laboratories. The company has GMP international certification and sells its portfolio products in about 30 countries. In January 2019 Farmec’s brand stores network comprises of 8 Farmec stores located in Cluj-Napoca (3 stores), Arad, Braşov, Sibiu, Târgu-Mureş and Timişoara and 18 Gerovital stores located in Cluj-Napoca, Bucharest (5 stores), Constanta, Timisoara, Craiova, Ploiesti, Suceava, Iasi, Piatra Neamt, Galati, Oradea and Ramnicu Valcea.